It can be easy to accumulate items you just don’t need, particularly when you’ve been in an office for many years. In order to keep clutter to a minimum, you’ll need to do a deep cleaning periodically and sort through what must stay and what can go. If you’re holding onto something just because you can dream up a situation where you may possibly need it one day, toss it. It’s just taking up space. Keeping the office free of clutter helps to make it a more pleasant place to do business. 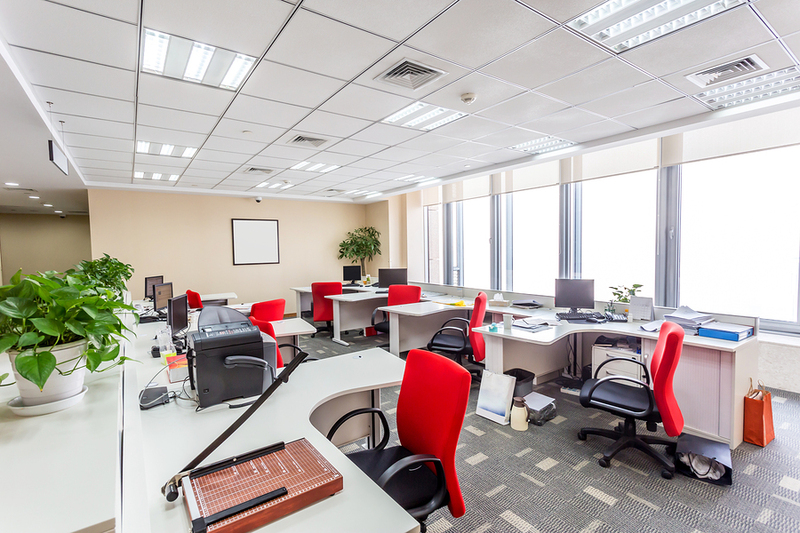 It doesn’t matter how big your office is, you need to put some organizational strategies in place to prevent important paperwork from getting lost in the shuffle. All employees should be aware of these systems, and should use them as they go about their daily duties. Whether it’s an electronic system or an old fashioned filing cabinet, ensuring that papers can quickly be found when needed is a major part of keeping your office neat. Many offices rely on electronic methods to store client information and paperwork. While this can make life significantly easier, it also puts that business in a vulnerable position should an issue with that technology occur. To prevent yourself from ending up in a stressful situation, make sure that you have a backup plan in place in case the technology you use should fail. Back files up to servers or keep hard copies just in case. Though it may seem unlikely, even one power outage can do serious damage to a company that relies heavily on technology in order to operate. Each employee can make life a little easier by making an effort to keep their desk well organized. When papers, soda cans, snack wrappers, and other items pile up, it makes it hard to sit down and get to work right away. When everyone makes a conscious effort to keep the office clean and organized, the space becomes a much more pleasant place to spend the day. What do you do to keep your office organized? Let us know in the comments!